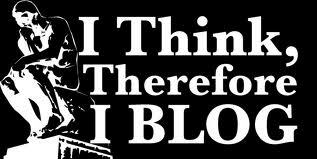 In social media marketing, everyone knows that the blog is the life blood of an online presence. Without an intelligently written, interactive blog site, would-be internet marketers are merely floating along in a chasm of vast, unresponsive cyberspace. How else do you get your message out there in a way that connects with potential clients? How do you build the trust factor and earn credibility? Get a feel for the right length as you organize your thoughts into a usable sequence. You are not going to attract hordes of readers if your posts are long-winded and rambling. Show your human side. No one likes to read a detached, uninspiring passage. Potential clients have no idea who is behind the keyboard at the other end of their internet connection. Being able to inject some personality and humanity into your writing will put your blog readers into a comfort zone. And the more comfortable they feel, the more their trust in you and your brand is likely to build. Make sure you deliver quality content. The best method for building trust and respect is sharing value from within your field. Educate your readers; impart helpful tips and share instructional information that they can take away from your posts. The more value you deliver, the more trust and confidence you instill. The more trust and confidence you instill, the more repeat and referring readers you will create! Include pictures, and be sure to use alternate text and to caption those pictures with optimized text. Not only are photos attractive to a reader’s eye, they help break up the monotony of reading an ongoing stream of words. As an added bonus, in this age of Pinterest, you can spread your blog more widely by pinning its related pictures to your boards on that platform! Post short videos. The best way for blog site visitors to get to know you is to have them see and hear a message directly from you. While video blogging, or vlogging, has been popular in the past, this year it is ESPECIALLY so! Videos don’t have to be masterpieces of production. In fact, the more informal ones tend to do best among viewers these days. There’s nothing wrong, and perhaps everything right, with recording yourself sitting across the table from your camera, having a brief, intimate chat with your audience. Watch spelling and grammar! This is BIG. There is probably no faster way to rob yourself of respectful consideration than by having potential clients read a professional blog that is full of misspellings and grammatical inconsistencies. Take the time to get it right! Have a dictionary and thesaurus (or the URL links to them) handy while you write. Keep your wording interesting by making use of synonyms instead of repeating the same terms ad nauseum. Make sure subjects and verbs agree in tense as well as in singularity/plurality. Lastly, read and then reread your post before publishing it. Take the extra few minutes to make sure your presentation is completely professional. You won’t regret it if you do; you just may if you don’t! Like it or not, the blog is THE way we communicate across the worldwide web. Whether we are announcing business promotions, sharing helpful pointers, making new connections or teaching lessons, the blog is the vehicle by which we get it done. Learning to appreciate the form and giving it the creative respect it requires will go a long way toward achieving success in our online connections and transactions. Have you any additional tips to offer? I’d love to hear them! Please share your ideas in the comments section below! This entry was posted in blogging, Social Media Management/Marketing and tagged blogging, Pinterest, Social media by Jeanine Vecchiarelli. Bookmark the permalink. I agree that we need to use correct grammar and spelling. How can anyone consider us the experts we are if we cannot spell and use our language? The one suggestion not within your list: Use sub-titles. This helps the reader scan for the information most pertinent to them, and can also help you with your on-page SEO. This is also a great example of “evergreen content” – Important to host on your blog as well. Thanks so much for adding your insights! Yes, of course subtitles are very important! That is one feature I probably don’t use enough in my own posts. I appreciate that you reminded us to use them. I can’t tell you the number of times I have clicked on a blog title that intrigued me, only to be turned off by poor spelling and grammar. It really does make the writer look unprofessional, and that in turn knocks down his/her credibility. In my opinion, the same holds true for posts that are laced with profanities. Yes, they are out there! Good tips, Jeanine. I would add one more to your list: Don’t forget the CTA or call to action. Since everyone reads countless emails, blogs, online mags/e-books/presentations, etc., on a daily basis, we (as the writers and content providers) must remember that we have a very limited amount of time to capture the reader’s interest, so the CTA must be clear, concise, captivating, and above all, easy to share. Absolutely, Debbie! While the value we provide with our content is free for our target audience’s reading pleasure, the ulterior motive for us is to promote/move forward with our businesses. Impressing and building trust won’t amount to much if we don’t give our readers an easy way to connect with us and/or make it easy for them to evangelize on our behalf! Blogging is one of my favorite activities, as I am a writer. Even so, there is an ongoing learning curve to work through when blogging for specific fields and purposes. I love how the social media experience is one of mutual respect and sharing; in that spirit I am happy to share the bits of wisdom I pick up along the way! I find there needs to be a balance in the voices we use when communicating through our blogs. This is so particularly as we blog for our businesses. We don’t want to appear too formal and “dry,” lest we lose the spirit of SOCIAL media. But we also can’t present ourselves as too informal or we may not be taken seriously as business professionals. The line is different for every person and every field. It is only through experimentation that we each will discover what mix works best for us. Good old balance, that’s for sure..! A relatively newcomer to blogging, I appreciate these tips & ones added by #LikeableBloggers. I am in the process of redesigning my jewelry website into more of a blog format. What a challenge to write descriptions so differently from our past shopping cart. I will be writing more blogs & content relevant to our products & I have bookmarked this. Would have liked to pin it to my important info board but I see you are not on Pinterest. I’m not ready to take on more platforms & am focusing on Facebook & Pinterest, for now. At this point I do not have a Pinterest profile. It’s just too much for me to handle with all the other platforms I juggle both for myself and my clients. But I thought a picture from this post could be pinned to a board. Perhaps another reader who is better versed in Pinterest can verify for us? In the meantime, I save posts that are important in a free “file” on Clipix.com. It isn’t a social media platform. Signing up allows you to put a button on your toolbar, like a “pin it” button. When I want to save something I just click the “clip” button and designate a folder in which I would like to save the piece. I am happy you found my tips – and those added in the comments – helpful! Please feel free to reach out if you have any questions or concerns with which I may be able to help! Really enjoyed reading your well thought, well written, useful post. Thank you for the list. I am also relatively new to blogging and have read a lot about blog post optimisation. Two of my favourite tools are: asking questions and typing them in larger characters (I use the HTML code) and bullet points or lists. I also like the quote feature on WP. Pleasure to connect and I’m looking forward to more of your posts since we’re now also connected on twitter. Thank you so much for your kind words. I am happy that we are now connected on Twitter as well! Thanks for letting Roslyn know about the Pin it button. I figured the option was there in the tool box, but I wasn’t sure about whether she had it activated. I also like to use the strategies you mentioned. I am all about finding ways to capture attention! Anything we can do to draw our readers’ eyes and make them think induces them to linger, and helps make them more likely to engage! As for showing the human side, I agree that it is very important and often difficult to find the right balance. On my new website I wish to run multiple blogs and I struggle with exactly how to find the right mix. I do look forward to using your tips as I work to reinvent my website. Thank you so much for adding your voice to our conversation! I appreciate the information you provided regarding Pinterest – and that you pinned this post! I do hope to open an account with the platform soon. But right now I have too many others I am juggling. For my purposes that includes Google Plus. I see lots of great potential there and am trying hard to build my presence on that platform. Great article Jeannine. Spelling and grammar are biggies with me. A blog is NOT a text. Spell out your words, use capital letters and correct punctuation. I’ll quickly leave a website or blog site that can’t follow simple grammar and punctuation. It drives me crazy. I’m a stickler for bullet points too. If you use a period on one, use a period on all! I TOTALLY agree with you. Everyone experiences the occasional slip. But I get turned off when misspellings and poor grammar are the rule rather than the exception on professional blogs. I also will click away, regardless of how intriguing I may find the topic. This blog has very good tips, is well written and great adice. I have yet to write a blog, still need to upgrade my website and hopefully will be able to do that very soon. Thanks again. Joel, I am grateful for the input of all the wonderful people who shared their views on my post. They supplied excellent additional tips and insights! I look forward to watching your business grow! Please feel free to reach out if I can help in any way! Great post and very informative tips. I also believe grammar and editing are important to a well presented blog. I learned from a supervisor early in my career that taking the time to read over things before sending them is worth the time in order to maintain your integrity. I also contribute to a blog in an unrelated field. It has a readership that numbers in the several millions. The writer who referred me described the process very eloquently. He said, “When people tell me I am a great writer, I tell them I am actually a great RE-writer.” That says it all. 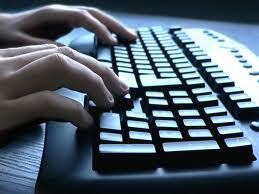 The blog is how we communicate across the world wide web. Professionals’ reputations can quite literally be made or broken by the level of care they take when crafting their messages.